Get the codes and standards you need when you need them! As someone with a leadership role in implementing and enforcing codes, it's you that others turn to when they have questions about codes and standards. But who can you turn to when you're the one who needs answers? 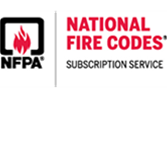 The National Fire Codes® Subscription Service (NFCSS™) is an online database providing convenient access to the library of NFPA® codes and standards. The NFCSS streamlines access and helps you keep the most up-to-date information at hand. An NFCSS subscription is a powerful tool. It provides access to the information you need, empowering you with the guidance and know-how required to get the job done and help make the world safer. In order to use your subscription to the National Fire Codes® you must first read and agree to the following license agreement. If you are accessing the National Fire Codes® through a free trial offer, you also must first read and agree to the following and you acknowledge that your trial subscription may include limitations on certain functionalities that are included in the paid subscription service. This is a legal agreement (the Agreement) between You, a single, named end user (You or Your or Subscriber) and the National Fire Protection Association (the NFPA®) for the subscription service defined below (the Service) which includes access to copyrighted information of the NFPA (the Information). By clicking on the “Accept” button below, You agree to be bound by the following terms of the Agreement, and are responsible for ensuring that the terms are met. If You do not agree to the terms below click on the “Not Accept” button. If you do not accept the provisions of this Agreement Your access to the Information will be denied. Information – shall mean the content library we make available to you, including the National Fire Codes®, all of which, as between You and the NFPA, are copyrighted materials of the National Fire Protection Association. Service – shall mean the subscription to the National Fire Codes® and any other Information made available to the Subscriber through activation of the Software, use of the internet and an individual electronic password. Software – shall mean the electronic programs which, when combined with internet access, NFPA uses to allow the Subscriber to view the Information. The Software may be used solely for the purpose of viewing the Information. Subscriber – shall mean the identified individual person who has paid (either directly or indirectly) the required fee(s) and met any other conditions required to obtain a Subscription to the Service. Subscription – shall mean the agreement, whether or not in writing, between the NFPA and the Subscriber setting out the length of time for which or the term during which access to the Service is allowed and the fee(s) for that access. Downloading – shall mean transferring electronic files of the Information (whether in PDF or other format) from the Service to equipment or devices owned and controlled by the Subscriber for storage of and access to the Information by the Subscriber for personal (individual) use while offline. NFPA reserves the right to limit the Information made available for Downloading and offline viewing. NFPA also reserves the right to limit the amount of Information that may be Downloaded during any Subscription term and the number of times Information may be Downloaded. Subject to the terms of this Agreement, NFPA grants You a limited, personal, non-commercial, non-exclusive, non-sub licensable, non-assignable, non-transferrable license, limited by the terms of Your Subscription and this Agreement, to use the Service to view the Information. Access to the Information through an individual password is licensed to You, for Your individual use only, and may not be transferred to or shared with another user or users. Information available for Download may be Downloaded to an individual device that is owned by and controlled by You for your individual use only. Access to and functionality related to Downloaded Information may be limited by the Software or otherwise by NFPA. 2. LIMITATIONS ON THE USE OF THE INFORMATION and LICENSE RESTRICTIONS. You may not copy, transmit, upload, download, or in any other manner publish, display, distribute or copy onto any storage device, including a network server, all or any part of the Information, through any means whatsoever except as specifically allowed under the GRANT OF LICENSE above, nor may you allow any other person or organization to do so, directly or indirectly. You may not print all or any part of the Information. You may not use the Information to provide on-line or similar database services or access to the Information for third parties. You may not rent, lease or lend the password or any portion of the rights granted herein to any third party. You may not, and You may not permit others to, copy, decompile, reverse engineer, modify or prepare derivative works of the Software, the Service or the Information. You may not use the Service or the Information in any manner that infringes the intellectual property or other rights of another person or party, or violates or infringes on the rights of any other person or party in any other way. Downloaded Information may not be copied, transmitted, shared, printed, or placed on a network or stored in any manner that would allow anyone other than the Subscriber to access or view such Information. 3. RIGHTS of NFPA: As between You and NFPA, the Information is owned by NFPA. The Information is protected by U.S. copyright law and international treaty provisions. NFPA retains all rights that accrue to or are incidental to the holder of copyright whether or not specifically set forth in this Agreement, including all right, title, and interest in and to the Information in all languages, formats, and media throughout the world, now known or later developed, except as may be provided in this Agreement. NFPA reserves the right at any time to make changes to the Service, the Software, the Information and the products and services delivered or permitted herein with or without notice to You. NFPA reserves the right to limit the Information made available for Download and offline viewing. NFPA also reserves the right to limit the amount of Information that may be Downloaded during any Subscription term and the number of times Information may be Downloaded. NFPA reserves the right to require You to register with NFPA any (i) device and/or IP address from which or through which You may access the Service; and (ii) device to which You may want to Download Information. NO WARRANTY IS MADE BY NFPA, EXPRESSED OR IMPLIED, INCLUDING BUT NOT LIMITED TO IMPLIED WARRANTIES OF MERCHANTABILITY AND FITNESS FOR A PARTICULAR PURPOSE WITH RESPECT TO THE ACCESS, THE SOFTWARE OR THE INFORMATION. UNDER NO CIRCUMSTANCES, WHETHER OR NOT ACCESS TO THE INFORMATION IS ALLOWED, IS NFPA LIABLE FOR ANY INCIDENTAL OR CONSEQUENTIONAL DAMAGE AS A RESULT OF YOUR USE OF THE PASSWORD OR THE INFORMATION ACCESSED BY OR THROUGH THE PASSWORD. ALTHOUGH NFPA HAS MADE EFFORTS TO MINIMIZE FAILURES IN ACCESS TO THE INFORMATION, ACCESS, THE SOFTWARE AND THE INFORMATION ARE PROVIDED "AS IS" AND “AS AVAILABLE” AND YOU UNDERSTAND AND AGREE THAT THEY ARE NOT GUARANTEED. 6. LIMITATION OF LIABILITY. NFPA SHALL NOT BE LIABLE FOR ANY DAMAGE OR LOSS OF ANY KIND ARISING OUT OF OR RESULTING FROM YOUR INABILITY TO GAIN ACCESS TO THE INFORMATION AT ANY TIME, OR ANY ACTION OR EFFECT OF THE INFORMATION OR SOFTWARE INCLUDING BUT NOT LIMITED TO YOUR SERVERS, NETWORK, OR OTHER ELECTRONIC EQUIPMENT, REGARDLESS OF WHETHER SUCH LIABILITY IS BASED IN TORT OR CONTRACT OR OTHERWISE. IF THE FOREGOING LIMITATION IS HELD TO BE UNENFORCEABLE, NFPA'S MAXIMUM LIABILITY TO YOU SHALL NOT EXCEED THE AMOUNT OF THE FEES PAID BY YOU FOR THE ACCESS TO THE INFORMATION FOR THE PREVIOUS THREE (3) MONTHS. THE REMEDIES AVAILABLE TO YOU AGAINST NFPA UNDER THIS AGREEMENT ARE EXCLUSIVE. SOME STATES RESTRICT WARRANTY AND REMEDY EXCLUSIONS AND LIMITATIONS, TO THE EXTENT OF SUCH RESTRICTIONS, THE FOREGOING LIMITATIONS MAY NOT APPLY AND OTHER REMEDIES MAY BE MADE AVAILABLE UNDER CERTAIN STATE LAWS. EACH NFPA DOCUMENT CONTAINED WITHIN THE INFORMATION HAS ITS OWN DISCLAIMERS AND STATEMENTS DEALING WITH LIMITATION OF LIABILITY. THE TERMS OF EACH SUCH STATEMENT SHALL REMAIN IN EFFECT AND BE IN ADDITION TO ANYTHING SET FORTH HEREIN. 7. TERMINATION: This Agreement and all rights granted by this Agreement will terminate: (i) immediately, and at any time thereafter without further notice or warning, at the expiration of the term of Your Subscription; (ii) immediately, if You transfer or share Your password or attempt to do so; (iii) immediately, if You transfer, use or share the Information or access to the Information, except as allowed herein; or, (iv) if You fail to comply with or if you violate any material term of this Agreement. Upon expiration of Your Subscription or other termination of this Agreement, You shall cease all use of the Information and remove and destroy any and all Information you may have Downloaded in accordance with this Agreement. 8. GENERAL PROVISIONS: This Agreement will be governed by and construed under the laws of the Commonwealth of Massachusetts U.S.A. without regard to the conflicts of law provisions. The parties agree that the State and Federal courts sitting in Massachusetts will have exclusive jurisdiction over any claim arising out of this Agreement and each party consents to the exclusive jurisdiction of such courts. Should any provision of this Agreement be held to be void, invalid, unenforceable, or illegal by a court, the validity and enforceability of the other provisions will not be affected. Failure of either party to enforce any provision of this Agreement will not constitute or be construed as a waiver of such provision or of the right to enforce such provision. The headings and captions contained in this Agreement are inserted for convenience only and do not constitute a part hereof. The following products may not be returned and are non-refundable: Membership, products delivered electronically (such as National Fire Codes® Subscription Service -- Online, eBooks, Online Learning, downloadable PDFs, web applications, and streaming video products).